Please contact the shelter so see if your missing pet has been found by a citizen who is choosing to personally house them rather than turn them in to the shelter. We hope all stray pet finders have the animal scanned for a microchip or take them to the shelter, but this is not always the case. Please make sure you create a good missing pet flyer with photo and display them everywhere you can. Shelter Phone: 360-387-1902 Please remember you are always welcome to visit the shelter in person. Pets in the window below are currently on their five day stray hold. If you are missing your animal please check these animals and call the shelter or stop in to fill out a missing pet report. Animals not claimed within five days become property of CASA and will then receive needed medical before being made available for adoption. Please do not inquire about adopting a pet still listed below. Owners of animals on stray holds are required to further identify their animal as well as provide required proof of ownership in order to redeem. Redemption fees apply. Shelter Phone: 360-387-1902 Please remember you are always welcome to visit the shelter in person and speak with a staff member. 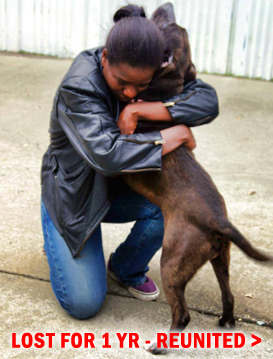 Services: Adoption, lost & found services, public surrender, licensing, etc. CASA is a temporary home for many found dogs and cats. If you are missing your pet please contact the shelter and the CASA staff will ask you detailed information about your missing pet in order to check if your pet is at the shelter on a stray hold or if it has been reported as found privately by a citizen. The CASA staff will help you file a Missing Pet Report if your pet is not at the shelter. You can also email the shelter, or drop off a missing pet flyer during open hours. Please take the time to find a good photo of your missing pet. A picture is worth a thousand words and will help us properly identify your pet if it does arrive at CASA. If you have found a dog or cat please contact the shelter to see if anyone has reported the pet missing (360.387.1902). If the shelter is closed, please leave us a detailed message or contact Camano Animal Control Services via ICOM Dispatch (360.629.2224). You are always free to bring the found dog or cat to the shelter during open hours; we encourage this. We ask that you do not bring them into the building right away. Come in the shelter and a staff member will come out to your vehicle and assist you with the animal. We highly recommend that you bring the animal to any vet or shelter as soon as possible to have them scanned for a microchip. This is always a free and simple service which often quickly leads to the animal's owner. Keep in mind that owners of local missing pets know CASA is where stray animals are housed and do come looking for them. By law animals are personal property and citizens who choose to house found pets need to obey laws regarding the harboring of stray animals. Lets help these animals find their way back home!